The New Indian Express, 05th April 2013. Reduce means utilizing fewer resources. Of the three R’s, this is the most efficient strategy and is the right place to begin. It is also the hardest to follow because it contradicts several ‘in-vogue’ notions. Reusing prevents utilization of new resources. It also prevents used resources from being treated as trash. It may not be glamorous, but it is important. 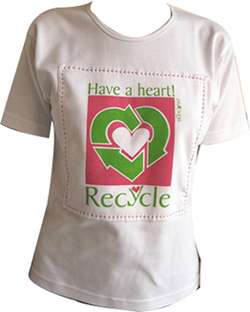 Recycling is the easiest R when it comes to Reduce Reuse Recycle. Don’t just toss everything in the trash. Lots of things (like cans, bottles, paper, and cardboard) can be remade into either the same kind of thing or new products. Making new items from recycled ones also takes less energy and fewer resources than making products from brand new materials. Your recycling mission is not impossible! In fact, it is very simple : don’t throw away anything that can be recycled !